Log splitters are used to automatically chop wood. They split logs into two or more usable pieces, so it’s easier to transport and use for fuel. Hydraulic log splitters use a two-stage pump that provides the hydraulic system with high flow or with high pressure. Pumps might provide a flow rate of 12 GPM, which is used to give cylinder extension and retraction during the time the cylinder is operating with no load. Log splitter pumps are an essential part of a wood splitter and sometimes they need to be replaced. And like all machinery parts, you’ll want to choose a pump that is made from high-quality materials and gives you as much value as possible for your investment. In addition to getting a quality part, you’ll want to know a little bit about what different pumps offer. Our list isn’t comprehensive, but it gives you an idea of what different size pumps offer, as well as what you’ll get for your money. 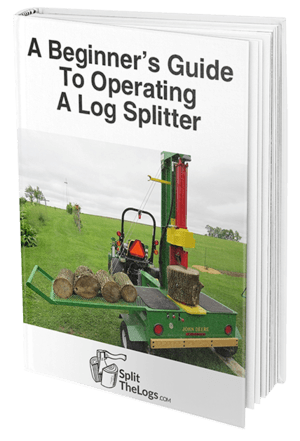 You’ll need to check the information associated with your log splitter to determine which pump is the appropriate option for you. This 2-stage Hi/Lo pressure hydraulic pump is perfect for log splitters, as well as presses and other equipment that uses rapid movement of the cylinder at low pressure is needed before switching to high pressure. This 2-stage pump is also ideal for Hi/Lo pressure situations. The change from high to low is automatic when the low-pressure stage is set at 650 PSI and it has a minimum 6.5 HP required for gas engine use. Size 5-9/16" x 5-1/8" x 3-3/8"
The Marzoochi two state Hi Lo pressure hydraulic gear pump is great for log splitting, as well as other equipment. The change from low to high pressure is automatic when the pump is in the low stage. It has a minimum 6.5 HP required for gas engine use. Size 10-1/4" x 5" x 4-3/4"
The MTE Hydraulics 2-stage pump works in log splitters and automatically switches to high pressure to meet load requirements. It automatically changes at preset 500 PSI and needs a minimum 8 HP for gas engine use. Size 6-9/16" x 4" x 3-11/16"
This dynamic 2-stage high low-pressure hydraulic gear pump works in log splitters and automatically switches to high pressure to meet load requirements when it’s preset to 400 to 900 PSI. It requires a minimum 16 HP for gas engine use. ​Size 6-9/16" x 6-1/4" x 4-11/16"
Though you have a number of choices when it comes to log splitter pumps, you primarily need to invest in a pump that is suitable for your log splitter. It needs to meet the requirements of your splitter model and be constructed of quality parts that are reliable and long-lasting. The pump is going to be doing a lot of work every time you use the log splitter so you want something that’s going to stand up to ongoing, repetitive use. In addition to choosing the right pump, you also need to make sure you keep your splitter in good working condition. Maintenance and maintaining the parts of your splitter is the key to making sure it lasts a long time and can stand up to the jobs you give it.